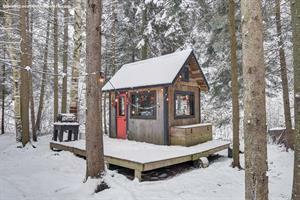 A small loghouse in the heart of the Laurentians mountains. 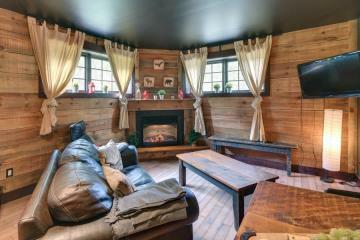 Surrounded by majestic conifers, a warm interior, that is what is offered to you in the Cabin of Mont Tremblant. 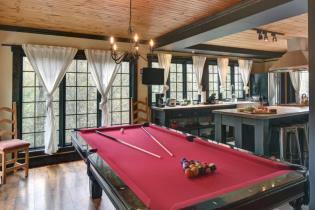 Holidays for pick up and ending in couple, between friends or family, a haven of peace to you, as nowhere else. 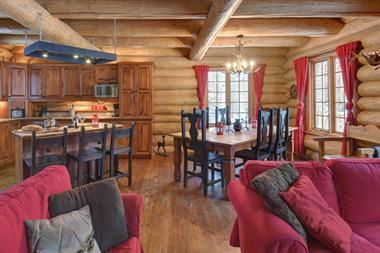 Recently built, this little chalet can accommodate up to 4 people. There are one bedroom units type mezzanine with 1 bed of size "queen", and 2 mattresses of magnitude "twin". All beds have duvets in feathers and down for your utmost comfort. 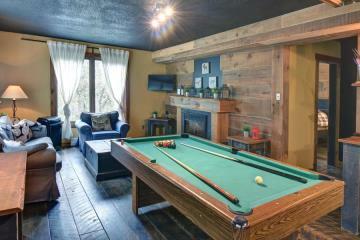 You will also find 1 bathroom and a full kitchen. 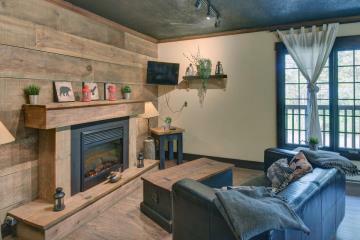 The living room, there is a TV, 1 DVD player and outside, a Spa for four adults, ideal to relax after the activities, an outdoor fireplace and gardens round wooden furniture, all that can be shared with the neighbouring cottage in the case of simultaneous rental. 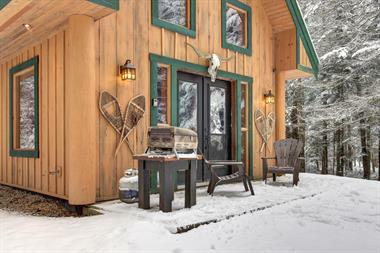 The cottage is bathed in light and offers a lifestyle where the class and sophistication of wood harmonize with nature, varying with the seasons. 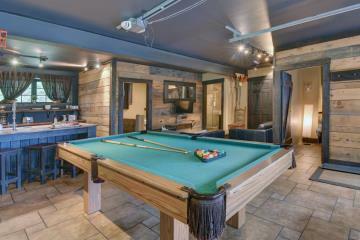 Luminaries potted Masson alive stay at the time of the dining room and create the much-sought après-ski atmosphere. The wooden table that can accommodate 4 people, invites as well to the gueuletons between friends than exchanges in the family. Alternatively, you can cook on the BBQ on the balcony back winter and summer. 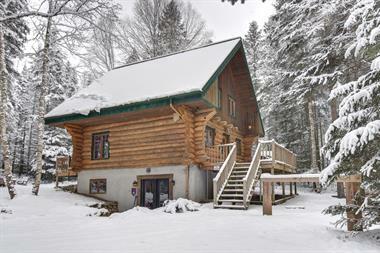 Snowshoeing enthusiasts go on expedition directly from the chalet, in the mountains or on the golf course . Whether it's between friends or family, you will live an unforgettable experience and a true nature escape! Per night 169$ - 249$ Maximum 2 pers.